Crisp Temps, Juicy Ripe Apples – It Must Be Fall! Although good quality apples are available at your grocery all year round, the only time you can get fresh ripe apples off the tree is in the Fall. There are more than 2500 varieties of apples grown in the United States. In the grocery store you will typically find varieties like Granny Smith, Red Delicious, Golden Delicious, and Gala all year round but some apple varieties only appear for a short time and some only at a local orchard or farmer’s market. Fall is the perfect time to taste test new varieties. Here are a few simple recipes to get you started on your quest. Enjoy! Heat oven to 375°F. In medium bowl, mix 1 1/2 cups Bisquick mix and 1/4 cup softened butter with fork until crumbly. Add boiling water; stir vigorously with fork until dough forms. Gather into ball. Press firmly and evenly against bottom and up side of ungreased 9-inch glass pie plate; flute edge. Spoon Filling evenly into crust. In small bowl, mix 1 cup Bisquick mix and the brown sugar. Cut in 3 tablespoons cold butter until crumbly (streusel will look dry); stir in pecans. Sprinkle over filling. Bake 15 minutes. Cover top of pie with foil; bake 10 to 15 minutes longer or until golden brown. Cool 2 to 3 hours before serving. 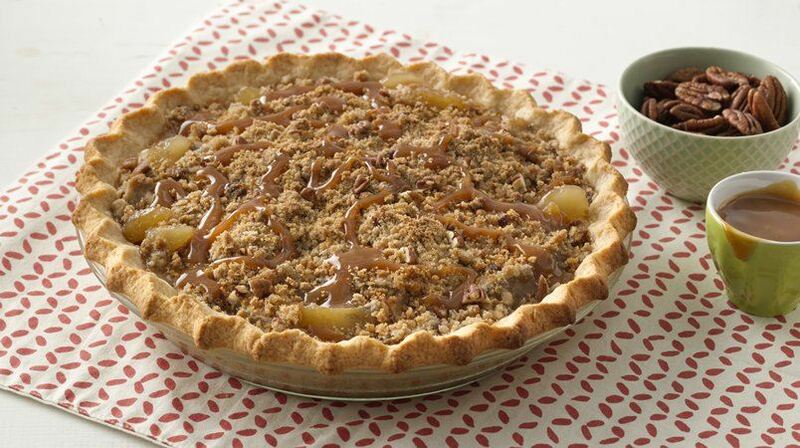 Drizzle top of pie or individual servings with Caramel Topping. A mixture of apple varieties, rather than just one type, will produce apple butter with rich, complex flavor in this slow cooker recipe. Good choices include Esopus Spitzenburg, Granny Smith, Jonathan, Northern Spy, Rome, Stayman, Winesap, and York. 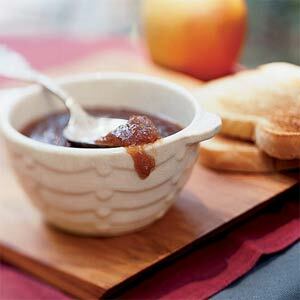 Enjoy the apple butter over toast or English muffins, or serve it with pork chops or chicken. Combine the first 6 ingredients in a large bowl, stirring with a whisk. 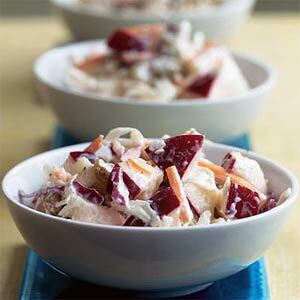 Add chopped apple, 1 cup raisins, and coleslaw; toss to combine.